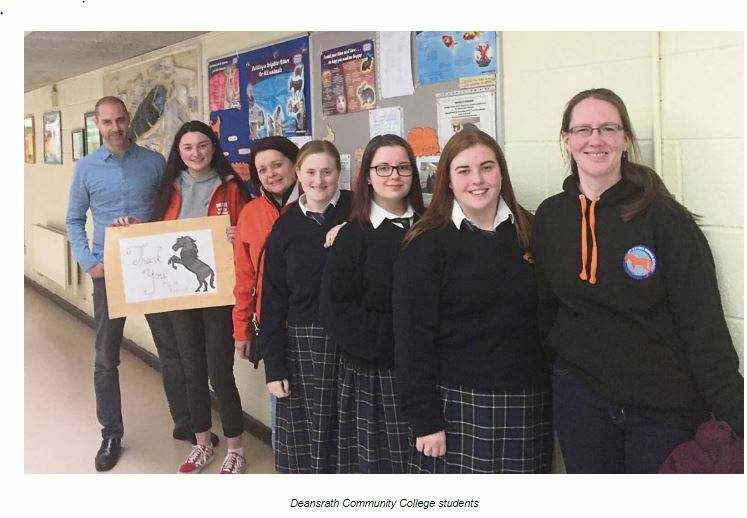 This year, Deansrath Community College students trialed an exclusive module in animal welfare, which has recently been shortlisted as an optional short course for the new Junior Cycle programme. ANIMAL cruelty cases sadly crop up in areas across South Dublin County all too often. With that in mind, it is reassuring to see that students in Clondalkin have completed a pioneering module on animal welfare. It followed a visit to the school by volunteer group My Lovely Horse Rescue, who shared their experience of working on the ground to protect abused animals. Matt Corbett, Deansrath CC teacher and director of the animal welfare course, said students wanted to continue to promote the issue and bring attention to the mistreatment of animals. He said: “Incidents of animal abuse and neglect in the country have become the norm, not the exception. There are fantastic organisations with incredible volunteers such as MLHR who came to visit our school and speak to us about their experience. “But without funding and increased education initiatives it is a constant battle to bring about change. Serious political will is required.